Kokopelli’s, named for the god of fertility in Southwestern Native American culture, was a retailer of jewelry, arts and crafts, and collectibles from indigenous tribes of that region. With that in mind, we borrowed heavily from their traditional artistic and cultural themes. 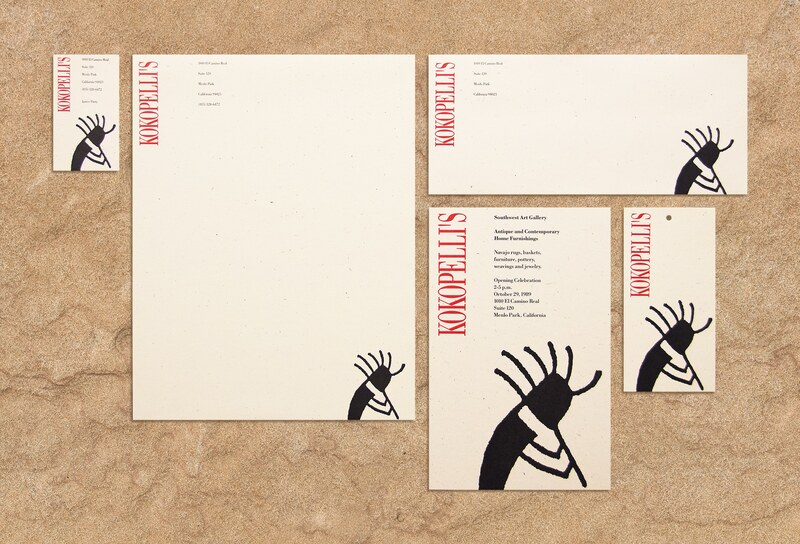 Because Kokopelli or “the flute player” is an iconic figure in Southwestern culture, it was only natural to adopt it as the company’s identity. We created a logo that was intentionally roughly-rendered—invoking images of native American sand paintings—and combined it with other traditional cultural motifs.